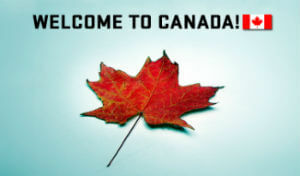 Canadian immigration is on the raise as Canada consistently ranks among the top 10 of the world’s best countries. It has been welcoming newcomers from around the world for decades. As a country with a stable political climate, progressive social policies, diverse population, and strong multiculturalism values, it is a place where everybody can feel at home, no matter their ethnic background, religion, gender or sexual orientation. Stretching from coast to coast, there is enough room for everyone in Canada to sow seeds for a new life. And it’s a great place to raise a family. Beautiful nature, free health care, a strong education system, safe environment – what else could you wish for your children? So, if you dream of living in a country with a high quality of life and boundless opportunities, you are in the right place! Jane Katkova & Associates are here to provide you with professional advice based on more than 20 years of exceptional service.